Empowered, healthy and thriving communities where everyone belongs. Health Equity – We believe that differences in health outcomes are avoidable and unfair and are shaped by the social determinants of health including, but not limited to: social inclusion, access to shelter, education, income and employment security, food and stable ecosystems. Social Justice – We believe in the dignity and self-worth of all people and their right to peace, security, safe affordable housing, education, food, income, a healthy environment, quality health care and equity. Inclusion & Respect – We believe that everyone has the right to be culturally and socially accepted, welcomed, and equitably treated. South Riverdale CHC ensures an environment free from discrimination and harassment where respect and dignity are practiced and upheld. Holistic Approach – We believe that health is a state of physical, mental, social, and spiritual well-being and considers the whole person and the interdependence of their various strengths and needs. Meaningful Community Engagement – We believe that communities can make meaningful changes to impact health and that the role of South Riverdale CHC is to work with communities, community members, groups and agencies to achieve this. Evidence Informed Practice – We believe that diverse sources of knowledge inform our practice, and we are committed to mobilizing knowledge generation and exchange for this purpose. We will establish innovative strategies and approaches, demonstrate equitable outcomes, and influence with bold and thoughtful leadership, telling our story with clarity and confidence. We will work to ensure staff wellness, enhance core infrastructure, and pursue alternative revenue generation. 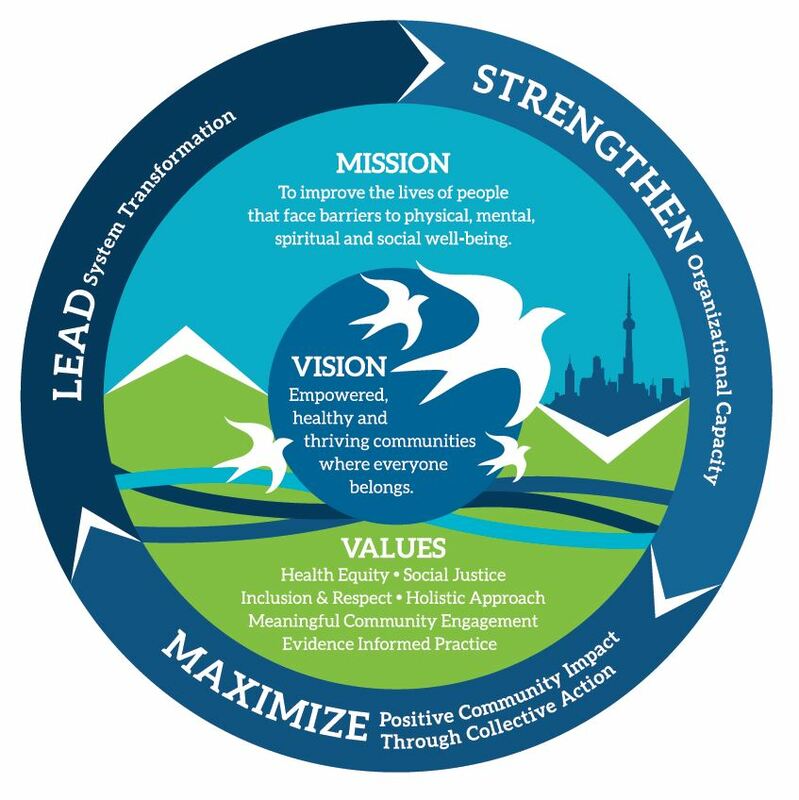 The Board of Directors and staff at SRCHC are committed to leading systems change by both building an organizational culture that focuses on quality and working in partnership with a range of organizations to deliver services/programs that enhance care pathways and reach across the continuum of care. The agency’s Quality Improvement Framework focuses on the application of a health equity approach to help increase access, reduce barriers and improve health outcomes for priority populations. Find below a link to SRCHC’s Quality Improvement Plan.